Everybody sweats, but no one wants to smell bad because of it. Good thing the Health Ranger Store has you covered when it comes to naturally smelling fresh. Health Ranger Select Magnesium Liquid Deodorant offers incredibly effective odor-fighting power that eliminates odors rather than masking them. It can provide up to 48 hours of odor protection, and it leaves no sticky residue behind. And because it's formulated with magnesium instead of toxic aluminum (like other deodorant products), you get all the benefits of odor protection without the health risks that come from cheap ingredients in common products. Our Magnesium Liquid Deodorant is simply a superior formula, especially for those with sensitive skin. Go for our lightly scented fragrance with essential oils or choose the crisp and clean feeling of our unscented version. Both are equally pure formulas that are lab tested for heavy metals, microbiology and glyphosate. Did you know that most of the mainstream deodorants you normally find on drugstore shelves use potentially hazardous metals and chemicals such as aluminum, propylene glycol, parabens, and phthalates? Aluminum compounds block your pores and prevent you from sweating, which is a perfectly natural process that your body needs in order to stay healthy and eliminate toxins. The other ingredients found in common products are harmful additives that are linked to a variety of health issues, including organ toxicity, hormone disruption, and damage to your liver, heart, and kidneys. More than that, most commercial deodorants don't even remove unpleasant body odors. 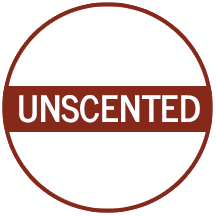 They simply cover them up with synthetic chemical fragrances. To protect your health, Health Ranger Select Magnesium Liquid Deodorant contains absolutely none of these toxic chemicals, metals or preservatives. Instead, it utilizes an all-natural blend of pure and high-quality ingredients that work together to naturally eliminate unpleasant body odors while being gentle on your body. When you apply Health Ranger Select Magnesium Liquid Deodorant, you're using only the highest-quality ingredients that nourish your skin and keep you feeling and smelling fresh. 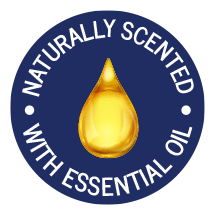 Essential oils provide a gentle, crisp, and fresh scent without the use of any synthetic ingredients whatsoever (there are no essential oils in the unscented version). Organic, food-grade ingredients are gentle enough for children and adults alike, and are non-toxic. All product lots are thoroughly lab tested for heavy metals, microbiology, and glyphosate. Health Ranger Select Magnesium Liquid Deodorant is gentle enough for children and those with sensitive skin, but that doesn't keep it from doing its job. It's the perfect solution for all those who have struggled with countless mainstream and "natural" deodorants that contain irritants and questionable ingredients. Our all-natural formula is soothing enough to actually nourish skin while also working hard to keep you feeling great and smelling fresh. Our liquid deodorant makes it easy to treat your underarms to a deodorant upgrade. A single application can offer up to 48 hours of odor protection. Our formula dries clearly and quickly, and it won't stain your clothes. The best part? It's not sticky, greasy, oily, or tacky. Instead, it'll leave your skin feeling moisturized and fresh every time. It can provide a gentle, balanced pH level that won't damage your skin's natural protective layer, and its light, modest scent - derived from natural essential oils - is perfect for both men and women. Sweating is a natural process in your skin that helps naturally expel toxins from your body. It just so happens that bacteria tend to thrive in the sweaty areas of your skin, resulting in unpleasant body odor. Mainstream deodorants and antiperspirants usually contain aluminum, which blocks the sweat from escaping your pores. Some experts believe that aluminum in deodorant prevents the body from purging toxins as it should, and still others – especially those with sensitive skin, eczema, or psoriasis — find that it can worsen symptoms of itchy, peeling skin. Even many "natural" deodorants contain aluminum and other toxins like propylene glycol. Choosing a natural product that's free from synthetic ingredients, toxins, and metals can make all the difference for your skin. And because your body absorbs these chemicals and toxins through your skin, choosing our vastly superior deodorant means avoiding those toxins found in common deodorant products. Health Ranger Select Magnesium Liquid Deodorant actually contains minerals such as magnesium, potassium, and calcium, all of which are effective against body odor and can protect your skin, too. Our non-aluminum deodorant formula eliminates bad odors instead of just masking them with stronger fragrances. It is also vegan, non-China, cruelty-free, and lab verified for cleanliness and purity. Now, that's an upgrade you can feel great about. "Our deodorant formula contains absolutely no propylene glycol, aluminum, alcohol, or other "junk ingredients" found in popular deodorant products. Our formula is gluten-free and cruelty-free, and all packaging is free from BPA. Our health-friendly formula contains just pure, effective, quality ingredients that work together to provide the best odor-fighting natural deodorant on the market. Every product lot is lab tested for heavy metals, glyphosate, and microbiology at our Consumer Wellness Lab." 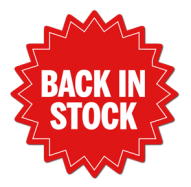 ***Free Shipping within the Contiguous U.S. (48 states) on orders over $79.